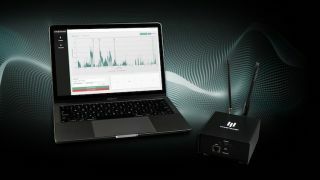 The What: RF Venue, provider of antenna, spectrum analysis, and RF signal management tools, for the professional audio-visual industry, is now shipping its WaveTower software-as-a-service (SaaS) product, designed to provide system integrators and end users with a powerful new weapon in the battle against RF spectrum interference. The What Else: WaveTower features small remote sensors that report back to a cloud-based web application, improving management of radio spectrum usage across multiple sites and reducing incidents of interference. This opens up new revenue streams for RF managed services, offers greater centralized oversight of multi-venue systems, and provides remote troubleshooting and planning capabilities. WaveTower also makes it possible to identify and circumvent longer-term problems by capturing and saving up to two months of spectrum data. This can then be assessed remotely in order to more fully understand and plan for periods in which RF spectrum is especially congested. The web application’s 24 Hour Max Hold and Average functions make it possible to gauge overall RF spectrum activity from the previous 24 hours in a single click. Covering VHF, UHF, ISM bands and more at 25KHz resolution bandwidth, WaveTower comprises a connected-hardware platform that features small remote RF sensors called ‘Towers’ that continuously send RF scan data to the WaveTower web interface. Each of the Towers sport a BNC input, allowing it to be connected directly to any brand wireless microphone system or antenna to scan the venue. The devices also feature GPS modules to determine their location worldwide, along with a scanning range of nearly 3GHz. The Bottom Line: Designed to allow organizations to monitor and manage their RF systems in a more streamlined and cost-effective way, WaveTower reduces travel and labor expenses by permitting systems techs to undertake analysis and make RF spectrum changes remotely. Corporations, touring productions, and houses of worship operating in multiple locations across town or across the globe, as well as universities are among the beneficiaries of the WaveTower feature set.